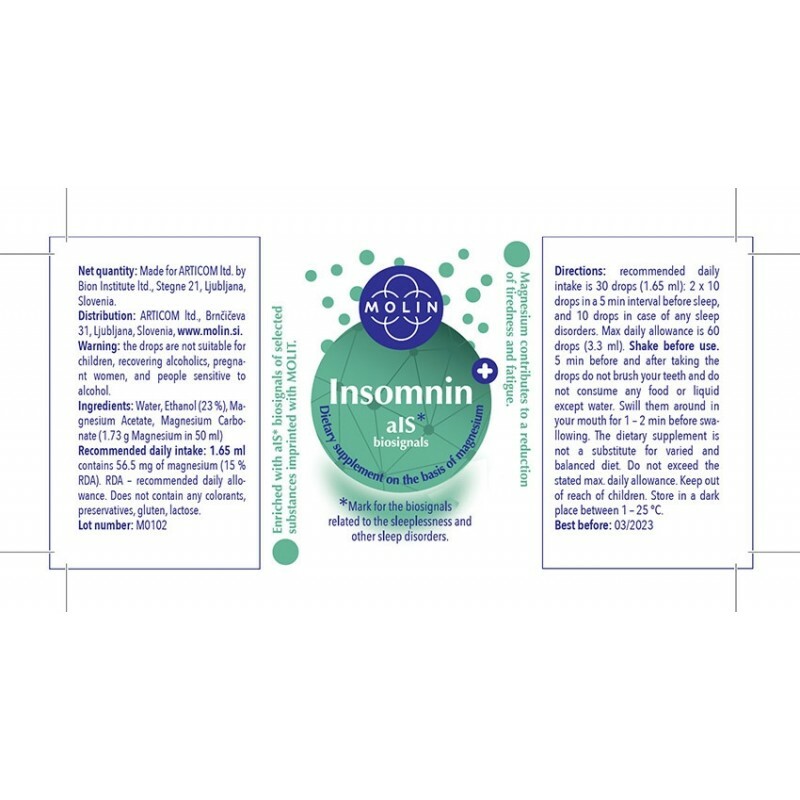 The dietary supplement Insomnin on the basis of magnesium colloid and supporting biosignals is a unique product for a healthy lifestyle and is appropriate for everyone who wants to re-establish the balance of their organism in a natural way, harmless for the body. Magnesium contributes to reduction of tiredness and fatigue, normal functioning of the nervous system, and normal psychological function. They are all factors that contribute to the quality of sleep. 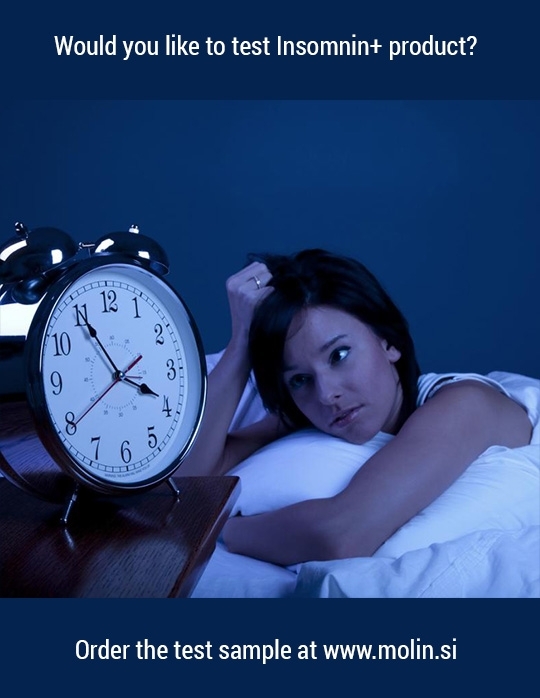 Biosignals are selected molecular imprints in the magnesium colloid, associated with easing the tension before sleep. These imprints can be read by the complex biochemical network of our body, which can then respond appropriately. It should be noted that the biosinals do not force the body into a certain state, they merely incite a chosen – intelligent – response which endeavours to mend the disturbance and restore the balance. 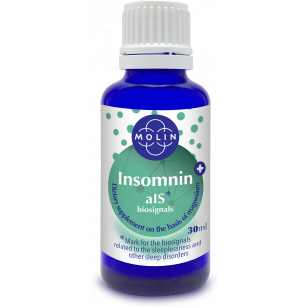 The beneficial effect can be reached already by taking 2 times 10 drops of Insomnin just before sleep in a 5-minute interval. When you take the dietary supplement and keep it in your mouth, while swilling it around, the absorption of magnesium and the biosignals starts taking place. What follows is the reaction described above when the body begins to relax muscle tensions and other unease. The organism can rest, and peaceful sleep is possible again. If you wake up during the night, take another 10 drops of Insomnin. 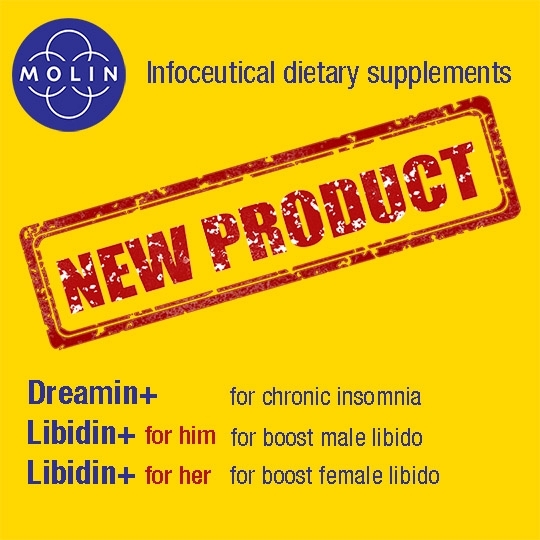 The effect of Insomnin usually stabilises after one month of regular intake. If you stick to the recommended daily intake, the dietary supplement is harmless.